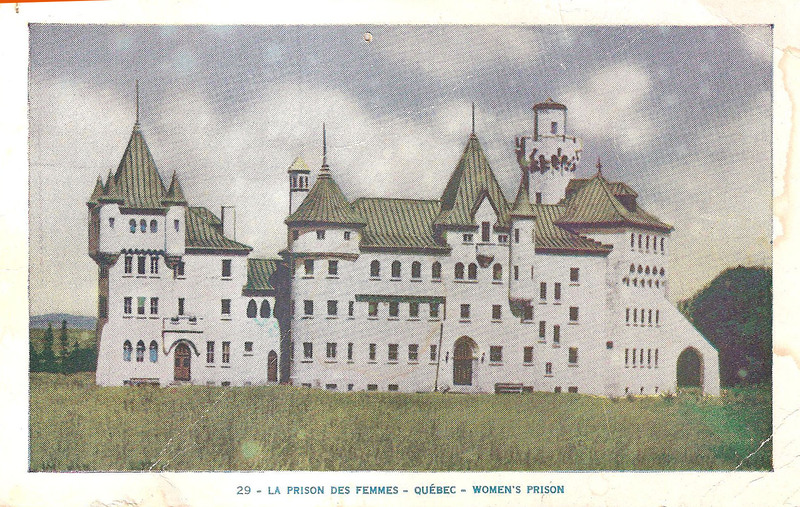 I’ve held onto this 1950’s card I received years ago of a womens’ prison in Quebec. It looks like a hotel for Hobbits. Where are these women? Did they ever get to ramble in those green expansive looking fields? Did publisher Lorenzo Audet’s photographer crop this Tudor fantasy fortress to omit the fences and gates that would give this a more ominous look? It almost looks like it could be a happy place and we know that it is not. This incongruency is provoking as are all those straightforward architectural photos of the period. We know what has become of the world and all the things that can happen inside and out. and quebuc archives where you can do a search by subject, location, editor etc. 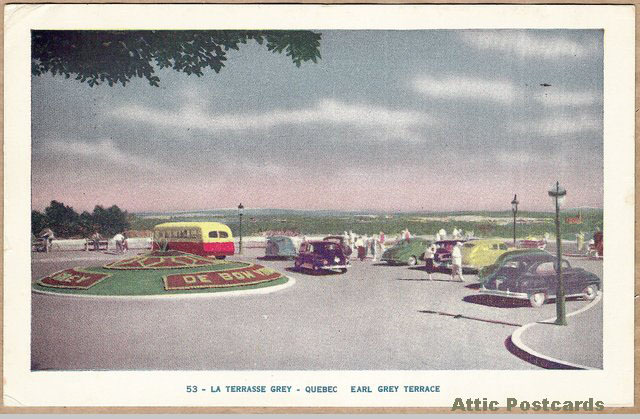 At a flea market in ontario I bought a box of different things and in there I found 2 postcards , one from a boy and one from a girl ..No names or nothing on it except Lorenzo Audet Enr. at 1226 ave. des Pins,Quebec…P.Q.. I am sure they are old..Just wanted to let you know and should I keep them ThanksCommunication could be in french also Merci. Je regrette que il n’ya pas de grand valeur sauf pour les gens qui recueillient cettes choses. How was my French? Feel free to correct me. Chercher EBAY sur “advanced search, items sold” pour Lorenzo Audet a vous pouvez trouver tous les cartes postales deja vendu a quel prix. 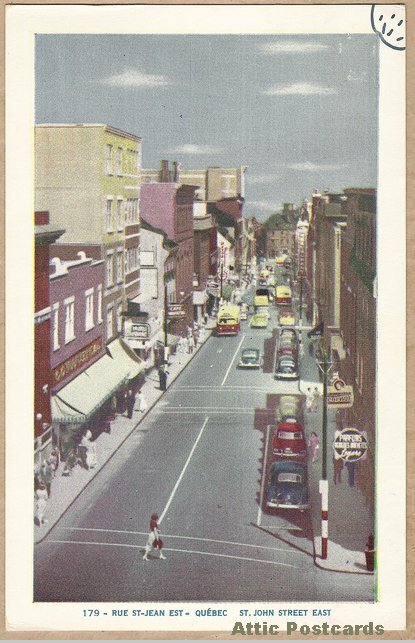 Je possède 64 cartes postales différentes de l’éditeur Lorenzo Audet. Elles sont à vendre . S.V.P. me dire si vous êtes intéressée.